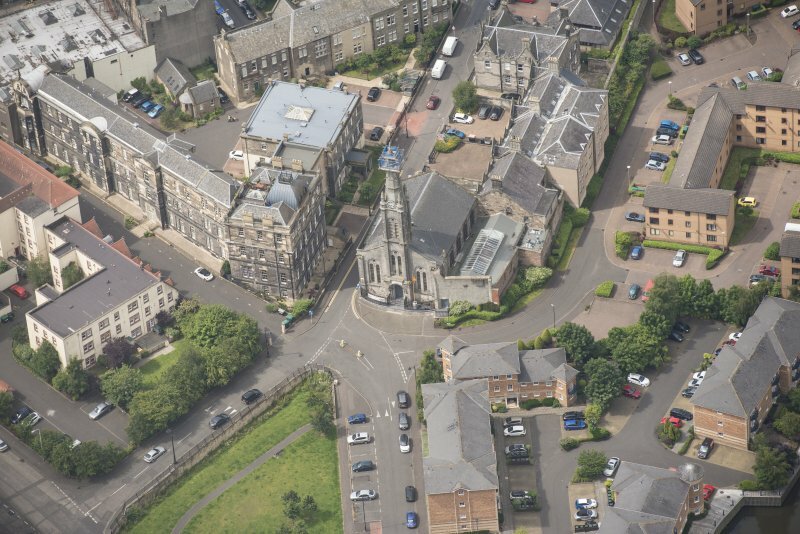 Oblique aerial view of St Thomas' Church and Leith Hospital, looking WSW. 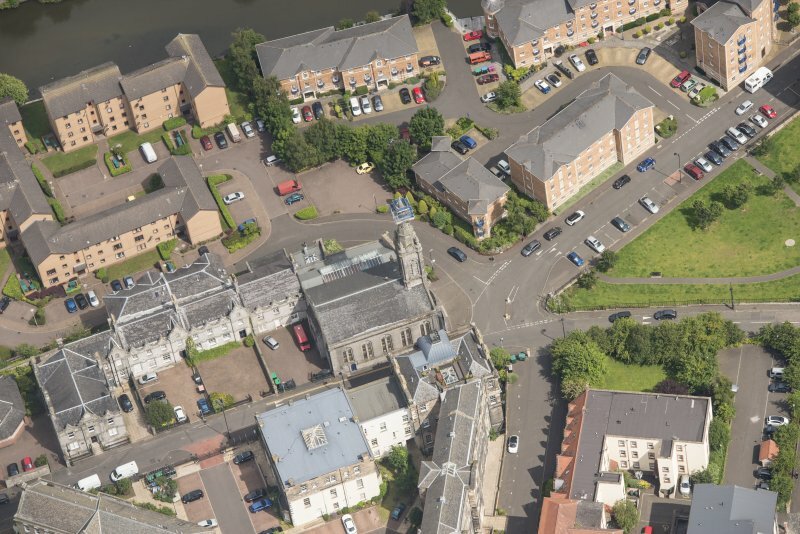 Oblique aerial view of St Thomas' Church and Leith Hospital, looking N.
Oblique aerial view of St Thomas' Church and Leith Hospital, looking ESE. 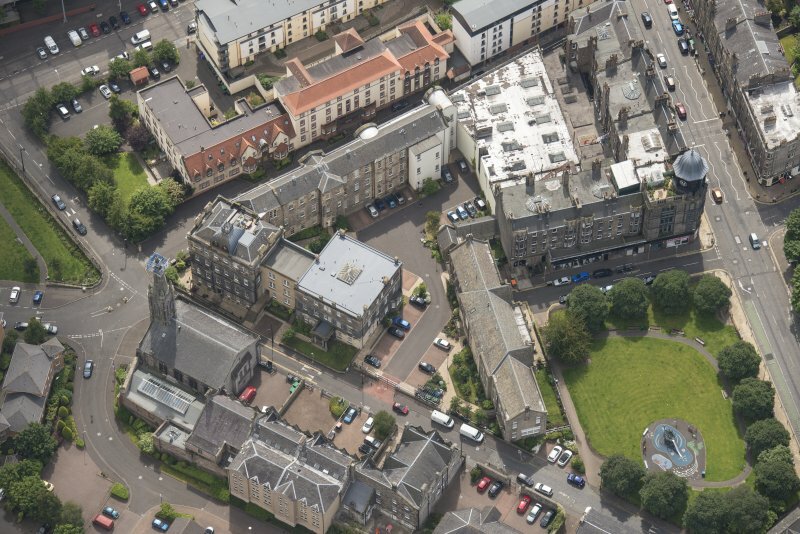 Oblique aerial view of St Thomas' Church and Leith Hospital, looking W.
Oblique aerial view of Leith Hospital, looking NW. 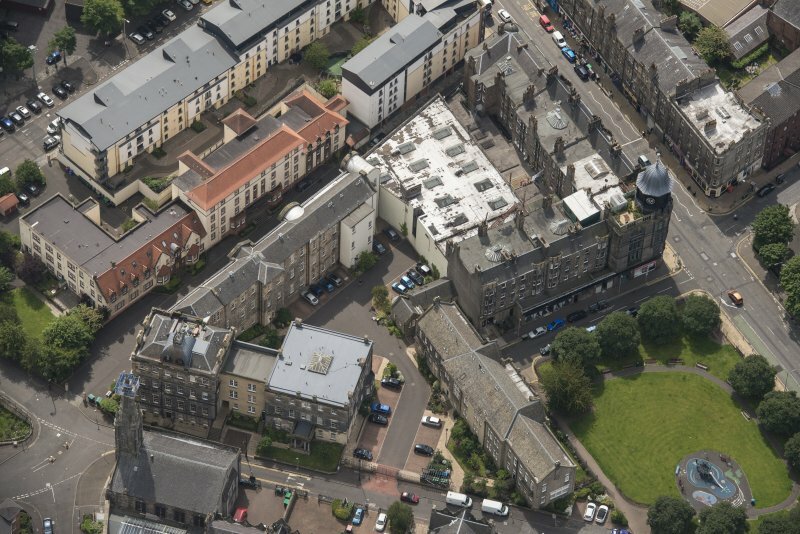 Oblique aerial view of St Thomas' Church and Leith Hospital, looking NE. 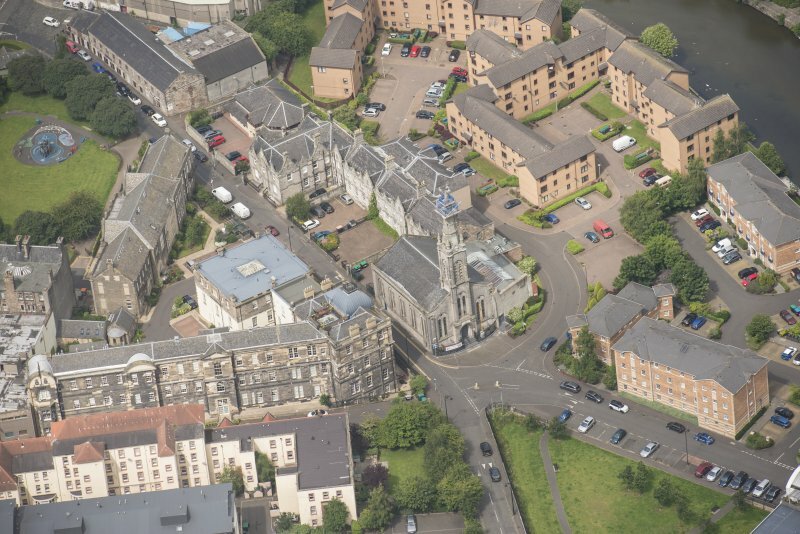 Oblique aerial view of St Thomas' Church and Leith Hospital, looking NNW. 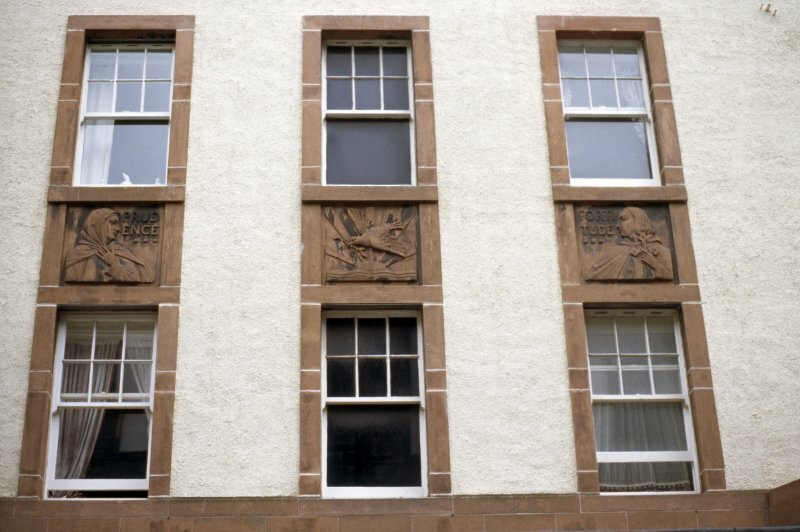 View of war memorial on facade of Leith Hospital. 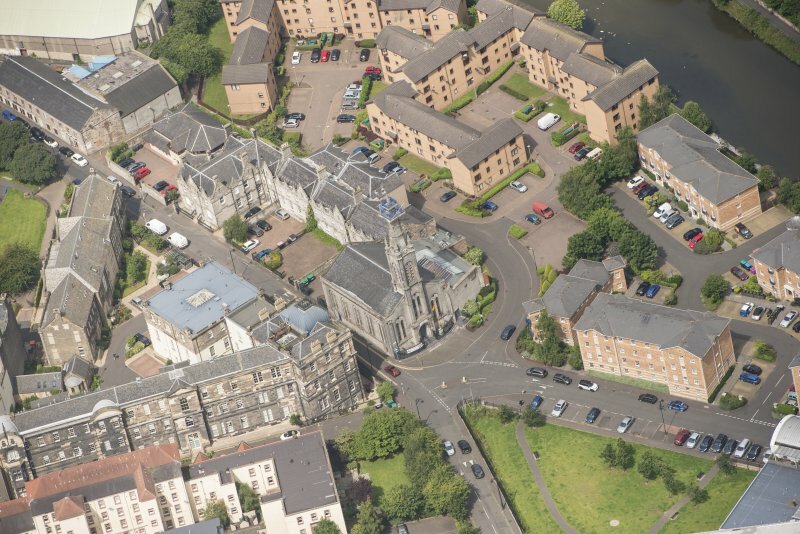 Oblique aerial view of St Thomas' Church and Leith Hospital, looking WNW. 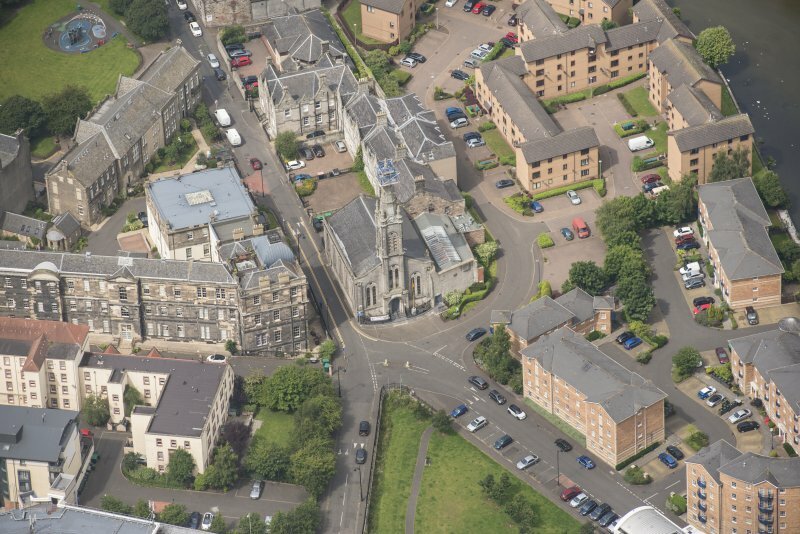 Oblique aerial view of St Thomas' Church and Leith Hospital, looking NW. 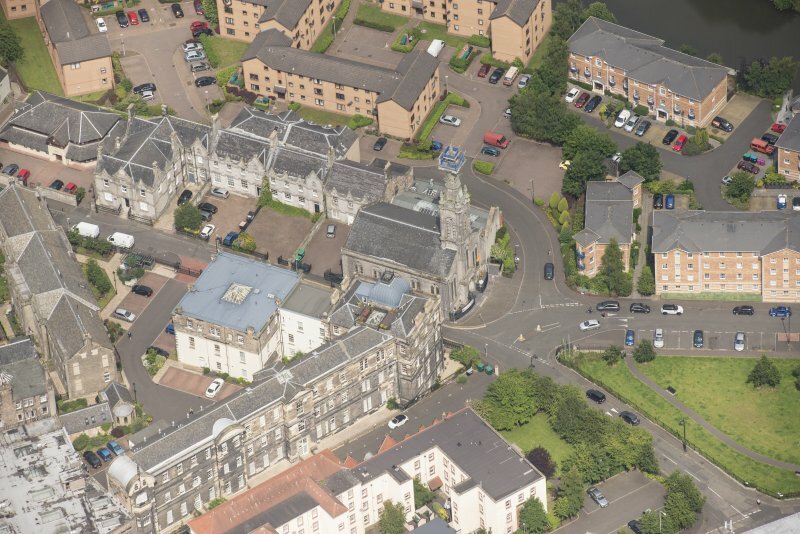 Detailed view of coat of arms of Leith (top) and Royal Arms of Scotland (below), on former Leith Hospital Nursing Home. 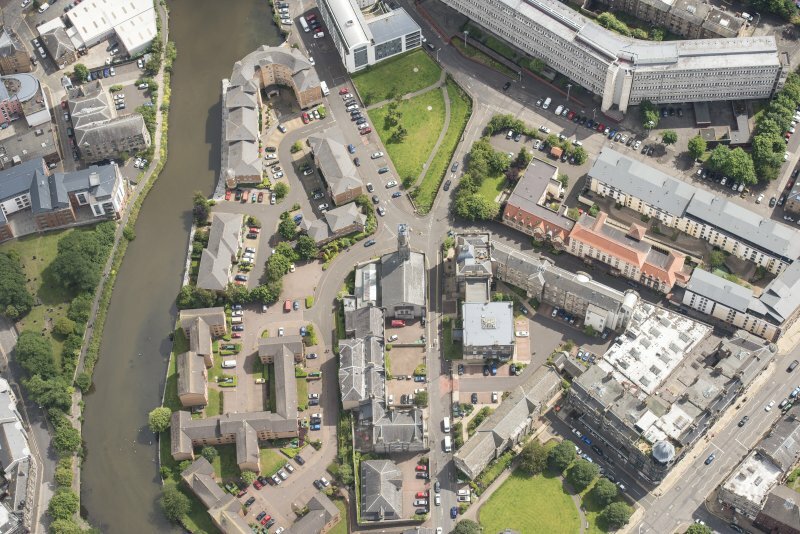 Edinburgh, 10 Mill Lane, Leith Hospital. 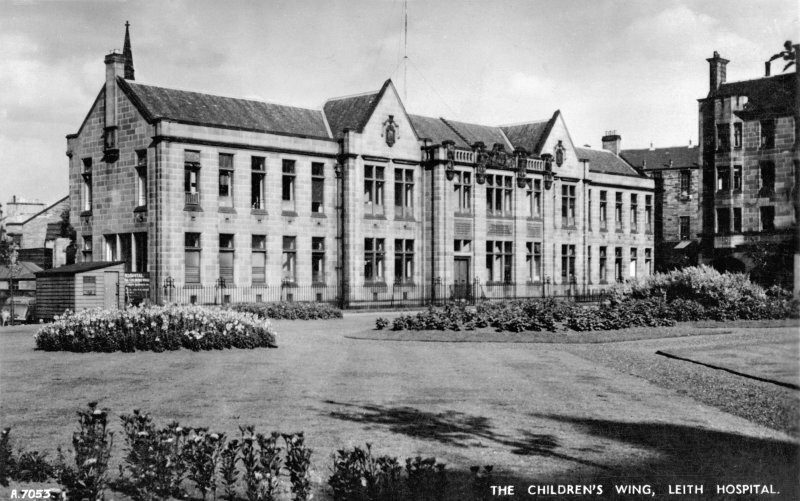 General view of Children's Wing. 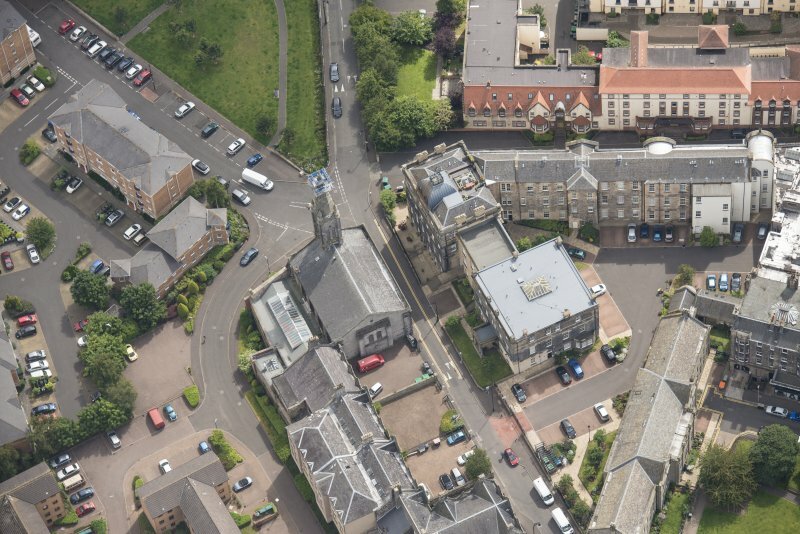 Oblique aerial view of St Thomas' Church and Leith Hospital, looking E.
View of panels betwen windows, above entrance to 1940s extension to Leith Hospital Nursing Home (now flats). 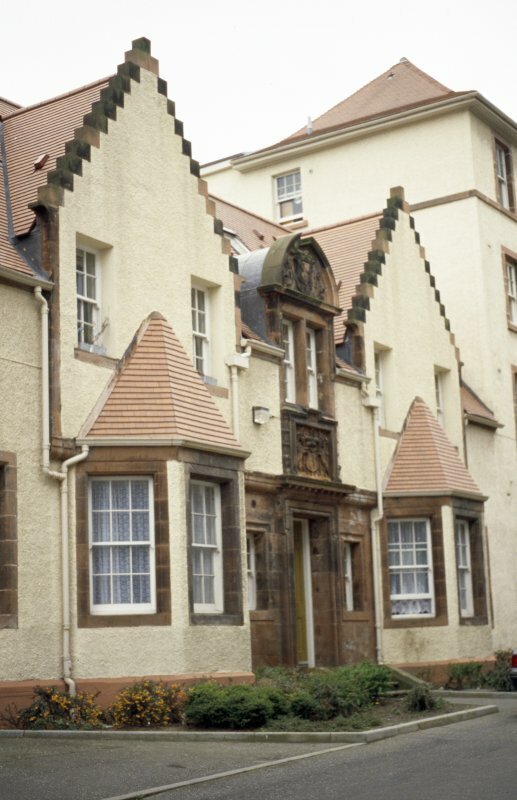 View of former Leith Hospital Nursing Home, showing coat of arms of Leith and Royal Arms of Scotland above entrance. (1) Head, shoulders and left arm of a female figure wearing a cloak, facing her left, representing Prudence. (2) A dove carrying an olive branch, flying in front of a sun on the horizon. (3) Head and shoulders of a cloaked male figure, looking to his right and holding a sword, representing Fortitude. Portrait head of Queen Victoria, facing her right, wearing a crown and surrounded by a garland of foliage. Coat of arms composed of a shield decorated with a lion rampant, surmounted by a helmet, and supported by two rampant unicorns holding flagstaffs. 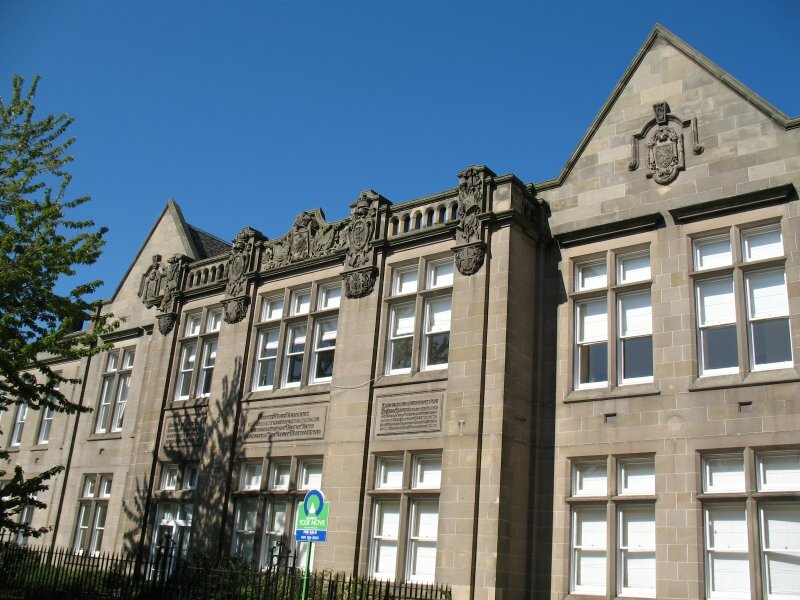 Leith Hospital War Memorial is on the façade facing Taylor Gardens. It consists of the above three inscription panels, and four high relief carvings at balustrade level. The carvings are of (from left to right): (1) a group of a rifle, a soldier's helmet, a shovel and foliage [laurel ? ]; (2) an anchor within a wreath on a cartouche; (3) a snake entwined around a staff within a wreath, on a cartouche; (4) pipes and drum and thistles. 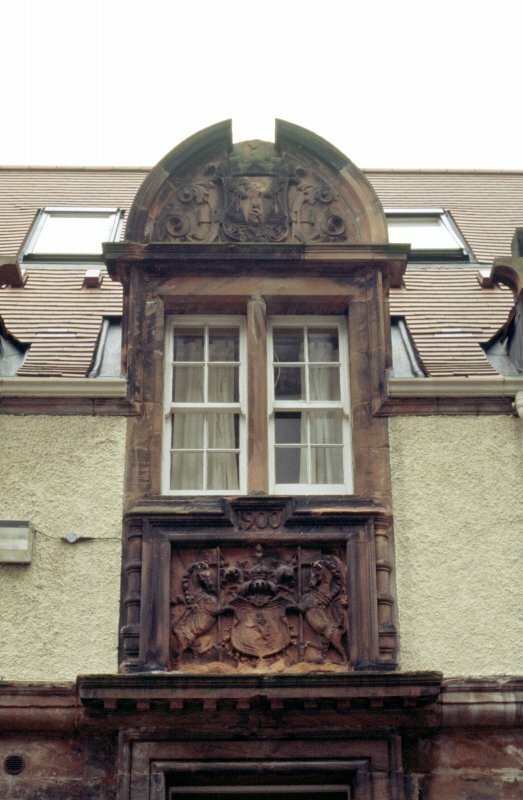 In the centre of the balustrade is a shield carved with a regimental badge [?] surmounted by a crown, and flanked by flags and foliage. The badge consists of a diamond with a thistle in the centre, a St Andrew's cross at the top and encircled with the motto Nemo me impune lacessit. 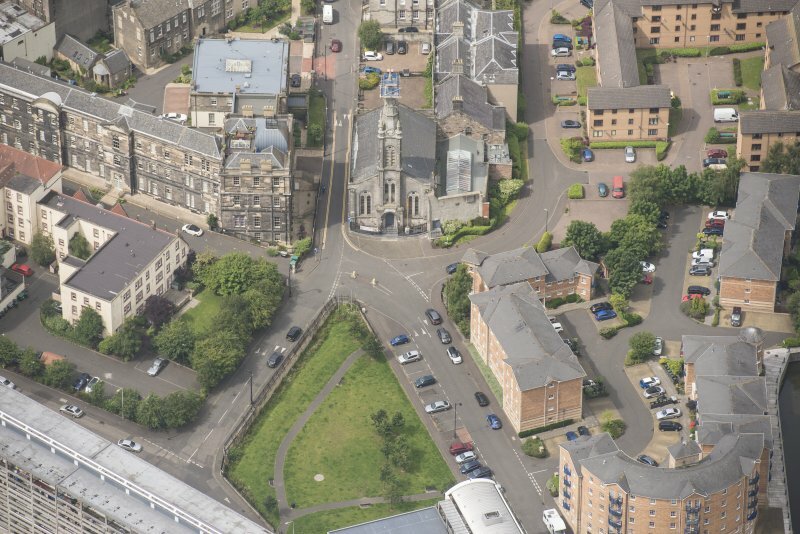 In each of the gables to either side of the war memorial is a shield. 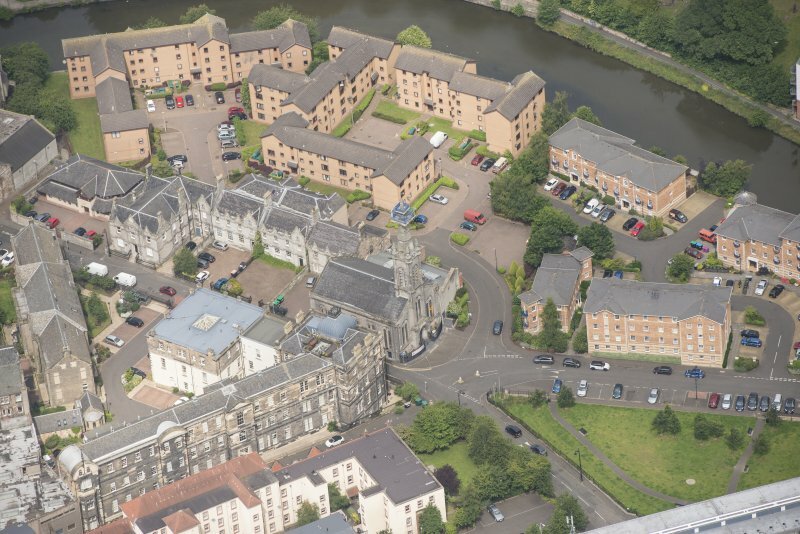 The shield on the left is carved with a lion rampant, the shield on the right with the Leith coat of arms.